Eurocom is shipping the NVIDIA GeForce GTX 780M and GTX 770M in SLI in the custom built, VGA upgradeable EUROCOM Panther high performance Laptop computer. The addition of the NVIDIA GeForce GTX 780M and 770M gives Eurocom customers an even greater choice of GPU’s to power their Panther with a graphics card to fit every budget and every performance level. 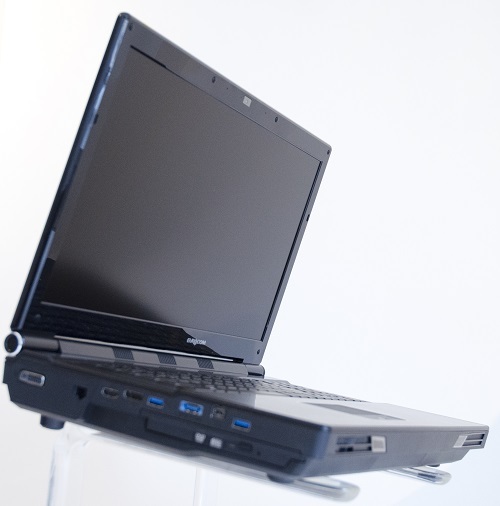 Eurocom currently supports both NVIDIA GeForce and Quadro as well as AMD Radeon in its notebooks in single and Dual (SLI or CrossFireX) operation. The 780M and 770M are equipped with GPU Boost 2.0 for overclocking to allow for maximum performance. The NVIDIA GeForce GTX 780M graphics card has 1536 CUDA cores running at 823 MHz with 4 GB GDDR5 memory running at 1250 MHz. In SLI the two 780M graphics cards offer EUROCOM Panther users up to 8 GB DDR5 video memory, 3072 CUDA cores, 256 TMUs and 64 ROPs. The EUROCOM Panther is based on Sandy Bridge-E X79 Express chipset and supports a complete line of Intel LGA2011 desktop processors, consisting of Intel Core i7, Intel Core i7 Extreme and Intel Xeon processors. “The EUROCOM Panther will support two NVIDIA GeForce GTX 780M cards to give our customers the most graphically capable Laptops in the World, offering 8 GB DDR5 memory and 3072 CUDA cores for CUDA developers who are on the go” Mark Bialic, Eurocom President. Eurocom has benchmarked the Panther 5D with dual NVIDIA GeForce GTX 780M cards in advance of shipping, the results can be found here.